The key products R&S PRISMON and R&S RelayCaster will be transferred to Rohde & Schwarz. GMIT GmbH, a subsidiary of the Rohde & Schwarz group since 2010, will be fully integrated into Rohde & Schwarz GmbH & Co. KG by the end of January 2019 and retroactively to July 1, 2018. With this move, the electronics specialist reinforces its commitment to digital products. The focal points are the R&S PRISMON audio/video content monitoring and multiviewer solution and the R&S RelayCaster IP contribution solution. In 2010, Rohde & Schwarz expanded its product line by adding software based, cloud-enabled solutions from GMIT GmbH. The next logical step has now been taken – to fully integrate the subsidiary into the parent company. In doing so, the company is following its strategic goal of offering digital products as a service. The key products R&S PRISMON and R&S RelayCaster will be transferred to Rohde & Schwarz and marketed through a broader global service and sales network as well as through a partner network. "We have been working on this shift towards digital products for some time and now have the right organization to focus more on this market," emphasizes Hannes Strobel, Vice President Monitoring & Headend. All GMIT GmbH employees will be taken on by Rohde & Schwarz GmbH & Co KG until the integration is completed and will remain the contacts for this product area. All contractual obligations and warranties vis-à-vis partners and customers remain in effect. The R&S RelayCaster IP contribution solution helps ensure the reliable feed and distribution of live A/V content via unmanaged IP networks, which is especially advantageous for providers with large networks. 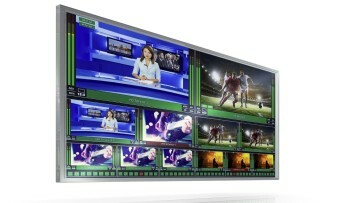 The R&S PRISMON monitoring and multiviewer solution for broadcast and streaming media provides a single platform for automatic, convergent monitoring of media content transported in networks. Rohde & Schwarz has been an innovator in broadcast and media for over 70 years. The Rohde & Schwarz product portfolio covers the entire signal processing chain for digital video and audio content – from ingest and playout to encoding and multiplexing, from contribution to satellite and IP networks to terrestrial transmission. It includes solutions for monitoring in the studio, as well as for monitoring streaming and broadcast services and entire broadcast networks. The T&M expert also offers a diverse range of instruments for testing end user equipment and infrastructure components in development, production and quality assurance. Rohde & Schwarz invests in an IP and software based future built with the blend of innovation, experience and stability that the company can offer.